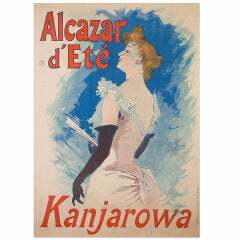 Extremely rare poster by fashion illustrator, Rene Gruau for ‘Blizzand’ raincoats. 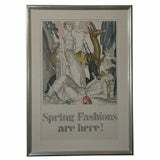 Year 1955 Dimensions: 122 x 165 cm Condition: Excellent Format: Linen backed. Vintage Poster Shell Motor Oil Gasoline by Rene Vincent from the year 1926. Measures approximate: 46 x 73cm. Age condition with strengthened use traces, kinks and cracks. 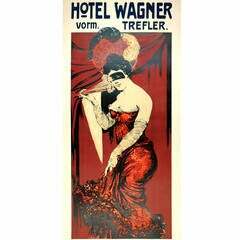 Gorgeous advertisement for the Hotel Wagner. Bold colors. Unique vertical format.